Most people have experienced the inevitable shower curtain attack, in which it slowly gets blown into the tub during a shower, thus the "attack." 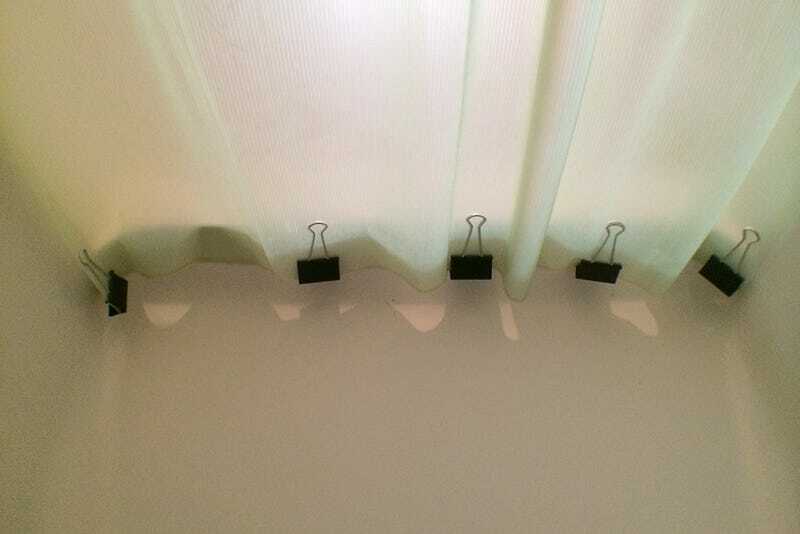 However, you can weigh your shower curtain down by clipping some binder clips to the bottom of it. The exact amount of weight to use will vary from shower curtain to shower curtain, but I found that five larger binder clips was enough to keep my stall shower curtain from caving in. One thing to be aware of is that the binder clips will clack against the tub, but using some simple rubber tape can dampen the noise. Of course, there are probably other objects you can use to weigh down a shower curtain, but binder clips were the first thing I thought of, since they're easy to install.